Flours come from the milling of cereals, such as wheat. Their properties have to do with their starch content and their protein fraction. 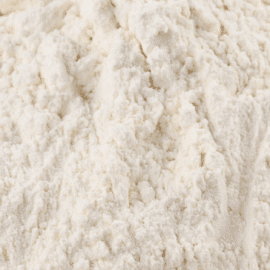 Flours can be used for the preparation of cooked delicatessen. However, because flours have a poor water holding capacity and are host to enzyme activity, they are not suggested for the preparation of raw delicatessen, like sausages. Flours are mostly used in the preparation of meat pies.